This is the biggest of our winter kits. 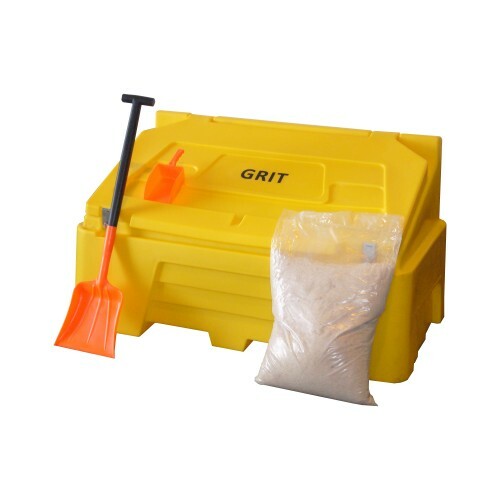 It is a great winter maintenance pack that gives you everything you need to successfully grit your property when you need to during the bad weather. 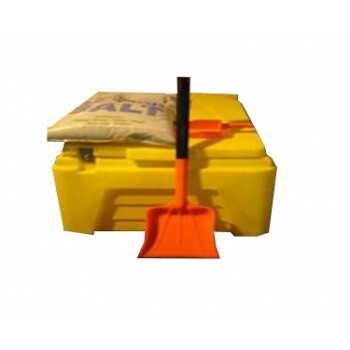 The kit contains a robust 400 ltr grit bin that is made from tough, medium density polyethylene. 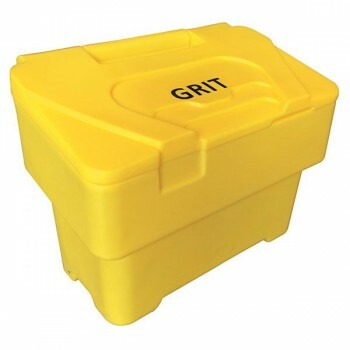 The grit bin will keep your salt nice and dry, and it is fitted with 2 hasps and staples. You can add a padlock to stop other people getting access to your salt inside the bin. 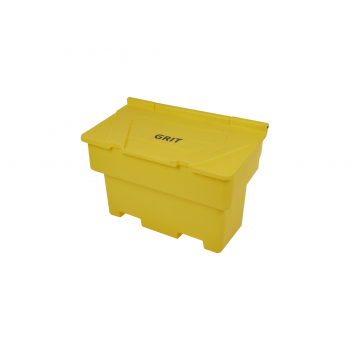 This grit bin has been cleverly designed with an angled lid to minimise the amount of snow and ice settling on top. This makes it easier to use in winter conditions. 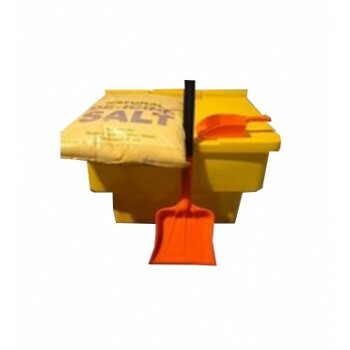 With your salt grit bin, we supply you with 16 of our Maxi Bags of clean, white de-icing salt, or red rock salt, a shovel to help clear any snow or ice and a small scoop that is used for lifting and distributing your de-icing salt. (Please note that the bags we supply will be sealed and not emptied into the bin). This large winter kit is perfect for residential or commercial use. The volume of salt that can be stored means you can get on with other tasks rather than worry about keeping it topped up. Additional salt can be purchased from us in store, or larger quantities can be ordered online. You winter kit will be delivered on a pallet via a 3rd party haulier to the nearest kerbside or hard standing.